There’s a long tradition of poetry responding to visual art (and vice versa), and we thought it would be fun to post a challenge. For the first, Judy Keown, cover artist from issue #45, donated a photograph of an argiope spider. We gave poets a month to respond to this photograph in verse, and received 266 entries. Judy Keown and Rattle’s Timothy Green each selected their favorite poem from the submissions and published them online at Rattle.com. Given how many people seemed to enjoy the Ekphrastic Challenge, we’ve decided to make it a monthly series, using open submissions of artwork when necessary. This means that we’re looking for a new image to inspire poems periodically. If you’re an artist and would like to participate, check back toward the end of 2018 and we’ll probably be taking submissions of artwork again. If you’re a poet, come back to this page every month to find a new piece of art to inspire your poetry. You’ll have one month to write and submit your poems. 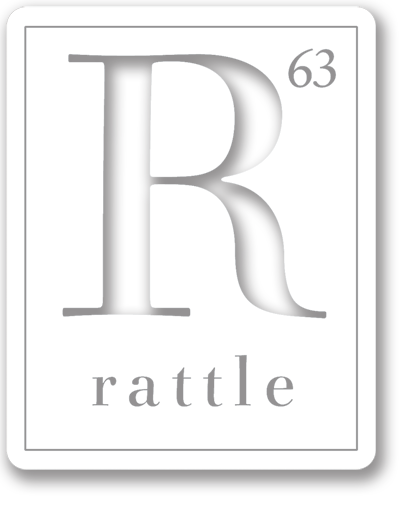 Two winners—one chosen by the artist and the other by Rattle’s editor—will receive online publication and $50 each month. For the month of April, our image is the piece below by Denise Zygadlo (click for a larger version). For more information on the artist, visit her website—but only write your poems about the image below!